Are you tired of spending more than you should on your energy bills? And are you looking for ways to save on energy costs? Then switching to a better option could be the answer. In this article, we take a look at GB Energy prices, tariffs, and reviews. 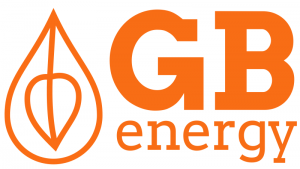 GB is a Preston-based energy supplier, launched in 2014. Following the collapse of the energy provider as a result of an increase in the wholesale prices of energy, Co-operative Energy took over the running and operations of the business in late 2016. More than 150,000 customers that GB supplies energy to have now all been moved to Co-operative energy. Co-operative, however, retained the brand name-GB Energy. Which Tariff Plans Are Offered by GB Energy? The following are the tariff offerings of GB Energy. To find out if GB Energy is your supplier of choice, contact us today for your tailored quote. Does GB Energy Have Smart Meters? Installation of the smart meters comes at no extra cost to you. So, how do you make bill payments? How Do You Pay Your Energy Bills? New customers will pay using DD. Calling their secure energy payment line on 0800 096 4416. They are available 24/7. Pay via your online account using your debit or credit card. There are on-screen instructions under the My Payments option on how to make payments. Does GB Energy Have the Warm Home Discount scheme? Yes, they do. Those eligible to the scheme are individuals who fall under the Broader Group and Core Group. If you are in the Core Group, your details will be sent to GB automatically. Those in the Broader Group, on the other hand, will need to apply for the scheme on GB’s website. Want to move? Here’s what you ought to do. If you are moving, you need to go to your online account and access the Moving Home portal. From there, the instructions are quite easy to follow. GB will request for some basic information regarding your move and then arrange to supply you with energy at your new address if you still wish to continue with their services. Another option is to call them on 0800 6444 490. Their lines are open every Monday through Friday from 8 am to 8 pm and from 9 am to 4 pm on Saturdays. Can’t wait to become a part of GB Energy? Switching has never been easier. Call us today then leave the rest to us. We will ensure that the transition is seamless and stress-free for you. Which Tariff Rates Does GB Energy Offer? Let’s have a look at GB’s estimated rates for dual fuel. Value of average bill refers to the average price of the 14 energy regions using dual fuel that have a 3100kwh usage of Ofgem medium of electricity with 12500kwh of gas and monthly payments via Direct Debit. For some tariffs, if you want to switch energy providers and your contract has not yet ended, you will pay an exit fee of around £25-£30/fuel. Let’s now take a look at the GB estimated annual rates for single fuels. Compare GB Energy fuel with us. We find the best deals in the market using our in-depth analysis and search tools. Call them on 0800 64444 451 between Monday to Friday from 8 am – 8 pm and 9 am – 4 pm on Saturdays. GB’s compliant resolution takes place in two main stages as highlighted below. Once you contact GB, they aim to resolve your complaint(s) within 2 days. If your complaint cannot be resolved within 2 working days, then it will be referred to their Customer Relations Department. Your complaint will then be assigned a Customer Relations Advisor who will work on resolving your issue in no more than 8 weeks. You will be kept fully informed of the progress and advised accordingly of the corrective measures if any. Our experts are the best in the field and they will ensure that you get authentic information on high performing energy companies, their tariffs, rates, deals. So, go ahead and fill out our simple form at the top of the page. As other people on this site have stated, IF I COULD GIVE THEM ZERO STARS I WOULD! I am a landlord & my previous tenant choose this company. They over charged me dramatically for the period between tenants. Demanding things like tenancy agreement copies with dated etc. and ten ignoring my once I provided them. They would not speak to me saying it was in the hands of their debt collector. The debt collector was more understanding and accommodating than GB energy. As GB Energy is no longer taking on new customers and you will be a customer of Co-operative energy, it seems only fair that the Co-op is in our comparison table. In the end, as GB Energy is more of a brand than an active company, the Co-operative will be your energy supplier. Customers complained on Trustpilot about the sudden increase in GB’s tariff prices. According to a 2017 review on customer service by Which? GB Energy was ranked position 17 out of the 31 energy suppliers reviewed. GB had a 61% rating in overall satisfaction. Impressively, they scored 5/5 on two categories namely ‘value for money and ‘clarity and bill accuracy’.